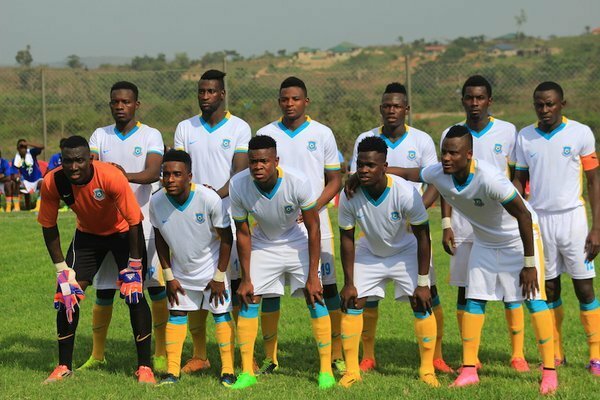 Wa Rockets knocked out Ghana Premiere League leaders, Wa All Stars from the MTN FA cup after 1-0 win today, June 18. This means, Wa Rockets will face the winner of the Asante Kotoko-Bechem United clash to be played at the Baba Yara stadium. Just after their important win, Wa Rockets started trending on the world’s most popular micro-blog, Twitter. Here are some of the interesting tweets Ghanafuo.com found for you! @DennisMirpuri Liberty will make it to Cape Coast. Watched Wa Rockets two weeks ago… they compete well, difficult to roll over. #MTNFACupGH full of shocks! So, Wa Rockets beat Wa All Stars 1-0. #GHPL leader eliminated. Liberty gets into semis, beat 9-man Sharks 3-0. @FrancisAbanga1 No! Wa Rockets meets winner of Kotoko vs Bechem in semis while Liberty faces winner of Okwahu vs WAFA. Sorry.. 9-man Sharks! Wa Rockets also beat town rivals @WA_AllStars by a goal to nil to qualify for the next stage of the @MTNFACupgh.